Land Rover kicked off the launch of its new Discovery SUV with a contest that will send the winner into space. The campaign, dubbed “Galactic Discovery,” invites consumers to submit a 30-second video or still image that captures what they believe to be the spirit of adventure. In April at the New York Auto Show, Land Rover said it had partnered with Virgin Galactic for the promotion. In addition to supporting the contest, Virgin Galactic will use a fleet of Land Rover vehicles at its new Spaceport America in New Mexico when it opens. 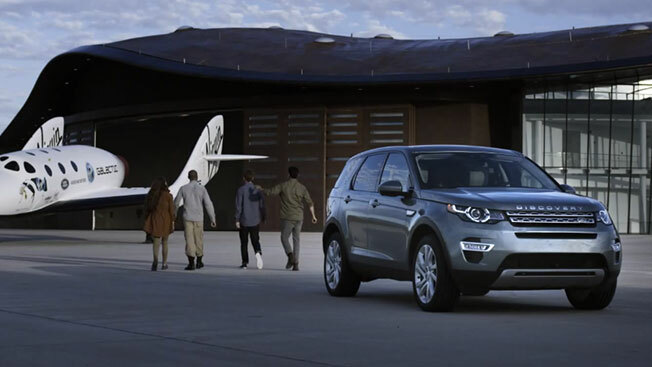 To promote both the launch of the 2015 Discovery Sport and the contest, Land Rover and Virgin Galactic released a video from The Brooklyn Brothers that includes British explorer Sir Ranulph Fiennes; entrepreneur and founder of Virgin Galactic Sir Richard Branson; British adventurer Bear Grylls; and ex-actress and wildlife campaigner Virginia McKenna. Each contributed a separate video promoting the campaign as well. The contest spans 29 countries, with winners to be chosen in November from each country, and the grand prize winner to be selected from that group of semifinalists in December. That winner is invited to bring three friends into space. “We share the same spirit of adventure and exploration as Land Rover and it inspires everything we do,” said George Whitesides, CEO, Virgin Galactic. “Democratizing space and giving individuals around the world from all walks of life an opportunity to see the Earth from above is at the heart of our mission."